Keeping in mind the growing demand for best weight gain supplements, this can be a profitable business idea. 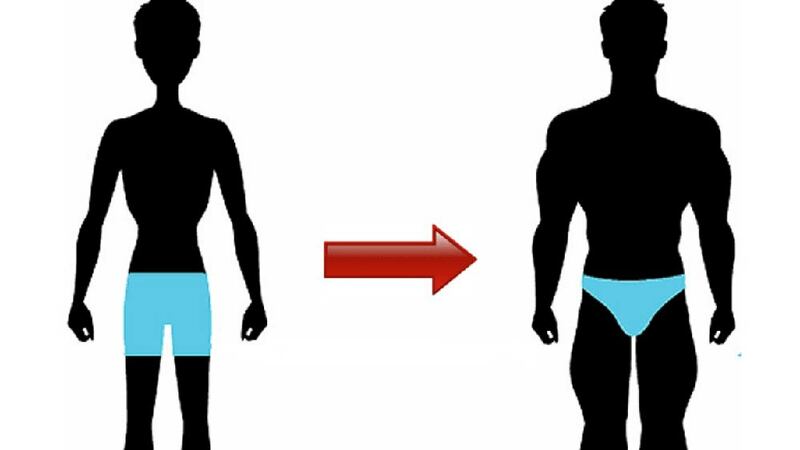 Whether it is for bodybuilding or sports or just for having a beach body, men today are interested in having lean muscle mass or gaining weight. Many people do think that most of the results related to gaining muscles do hail from regular visit to the gym, but to all those who think so, you are wrong. The biggest cause helping in getting lean muscle comes from right nutrition. When a person is working out for gaining weight, it is very essential for the same to make sure that he/she is having proper diet and also on time. Normally gym instructors recommend those willing to gain weight to have muscle boosting supplements. Weight gain supplements or protein powders are a bit different from the regular ones as they come with high amount of protein, carbohydrates, and calories per serving. Usually the best weight gain supplement comes with calories somewhere from 500-1000, proteins amounting about 40 to 60 grams and approximately 50 to 150 grams carbs per serving. Though weight gain supplements are a bit expensive than normal health supplements, the desire to have a muscular and fit body among men have enhanced their demand in the market. Not to be overlooked, the desire to be in shape and gain some weight is seen among women who are thin. All these have boosted the market for weight gain supplements to a high extent and have given birth to various such products. Optimum Nutrition Serious Mass has been designed for helping people to gain muscle mass as well as weight, especially for those who are willing to have the same within a very short time period. Even people who have higher metabolisms too need a supplement that will act as an extra force in helping to gain mass. It needs to be taken in concern that Serious Mass is meant for gaining mass and not fat. Each of its serving comprises of 1250 calories along with 50 grams protein, vitamins, glutamine, minerals and creatine. It is known as a stackable protein supplement and it can also serve as a replacement of meal depending upon its usage. It is very dense in terms of calorie and nutrients and thus can also be used with any beverage as per your choice or simply with water. However it is milk that is mostly recommended. True-Mass is even considered as a perfect supplement for a person who has just began serious competitive training. Apart from helping in gaining muscle mass, BSN True-Mass also helps in repairing the damaged muscle cells. Real Gains functions upon the concept of clean calories. This is performed with a properly planned macronutrient profile combining high quantum of carbohydrates, essential fatty acids and proteins. Whey Protein from Real Gain is combined adequately with micellasr casein. It slows down as well as attenuates absorption, thus providing steady supply of the much needed amino acids. It also has low DE maltodextrin blend enjoying a combination with inulin fiber. It offers reliable nutrient absorption via glucose polymers and also renders the body requisite endurance. This weight gain formula features about 50grams sustained release protein matrix per serving of about 150grams. It includes whey protein isolate, whey protein concentrate. milk protein isolate, whey protein hydrolyzed and micellar casein. This combination of slow and fast digesting proteins results into the creation of an anabolic window, which lasts for quite a few hours thereby promoting muscle growth and recovery. This protein blend constitutes whey protein concentrates and isolates, egg white and calcium caseinate. Muscle Juice offers a good mix for supporting muscle repair, growth as well as its efficient usage. It also contains prime grade carbohydrate (complex) along with MCT oil (Medium Chain Triglyceride). MACT offers a steadier and slower energy release that at the very same time also doesn’t result into a hike in the cholesterol level. Use of Muscle Juice right after workouts is considered as the best time. Keeping into concern the growing demand for best weight gain supplement, it can be rightly said that you are going to enjoy huge benefit entering the market as a weight gain supplement manufacturer.